The leader of the Harlem Renaissance in the 1920s, Langston Hughes was a social activist as well as one of the country's foremost writers. As he writes of the condition of blacks in America, he portrays a people of great humor, grace, wisdom, as well as the most sophisticated jazz. Langston Hughes was a people's poet; his poetry and stories reflect the beauty of his people and his time. 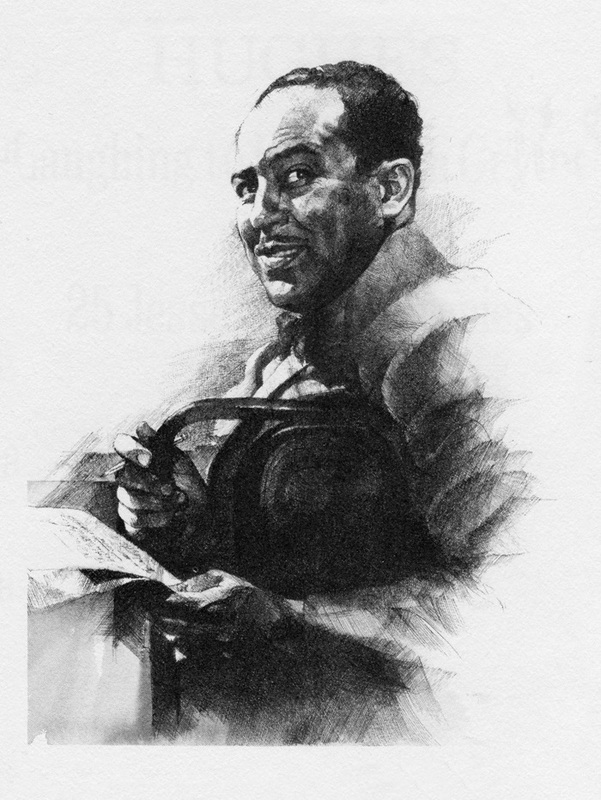 This portrait of Langston Hughes is the frontispiece for the Franklin Library edition of Hughes’ Laughing to Keep from Crying and 25 Jesse Semple Stories.